Not only does new billiard cloth look pristine, but it plays like a dream. The balls roll as if they are on glass. Hopefully they’re headed for a pocket, but that’s on you. If your table is overdue to be recovered, you’re in luck: We have some great options to get your table looking and playing great again. Here is the cloth that you have seen on T.V. in the pro events! If you're looking for superior quality cloth, look no further than Simonis. Manufactured in Verviers, Belgium since 1680 (yes, over 325 years! ), Iwan Simonis uses only the finest worsted yarns and proprietary manufacturing processes giving Simonis cloth a smooth, flat and precise surface. Simonis cloth provides you with the truest playing surface possible, is substantially more durable and will not pill or fluff like other cloths. Rails are included but not pre-cut. If you're looking for pointers on how to install your cloth, check out our pool table cloth installation guide. Here is the cloth that you have seen on T.V. in the pro events! If you're looking for superior quality cloth, look no further than Simonis. The most durable commercial-grade billiard cloth made. This Simonis 860 High Resistance worsted wool cloth is napless and tough as nails. Currently available in Tournament Green and Tournament Blue. Rail cloth included but not pre-cut. If you're looking for pointers on how to install your cloth, check out our pool table cloth installation guide. Have us cut the the rails on your next Simonis cloth purchase so you don't have to worry about it. 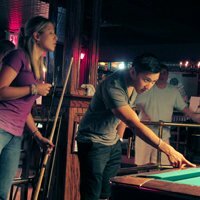 Pool table cloth — also sometimes called “pool table felt” — is made of a combination of wool and usually nylon. Worsted cloth is the best cloth and isn’t actually “felt” — the wool goes through a spinning process, which eliminates the fuzziness on the surface. Simonis manufactures a top-quality worsted cloth, and the Championship Tour Edition cloth also stands out and is a tournament-quality cloth as well. A good pool table cloth will enhance your passion for playing. The Simonis 860, for instance, offers the best control and is used in almost all professional events, while the Simonis 760 is the fastest surface. The 860HR is a hybrid of the two. Among the less expensive options, the Championship Invitational is durable and a reasonably fast cloth. The Mercury Ultra also is fast. A tip: To make your cloth last longer, use top-quality balls, which will leave fewer burn marks from the friction of the balls spinning. Whether you call it pool table cloth or felt, it’s the quality of the material that will have a drastic impact on your game. Fortunately, we offer cloth from the industry’s top manufacturers: Simonis and Championship. 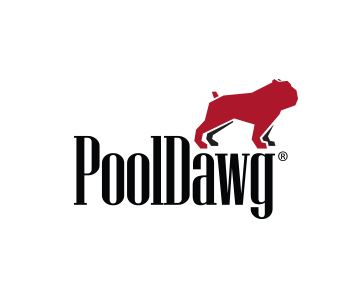 When it’s time for a pool table felt replacement, keep the basics in mind: Worsted cloth is superior to “felt” for the pool table; different types will provide better control or more speed; and most important, we at PoolDawg are always ready to help you select your billiard felt or worsted cloth and answer all of your questions. Contact us today.